Car accidents can cause life-changing injuries. One of the most serious injuries that can occur in a car accident is traumatic brain injuries. Even minor traumatic brain injuries can have serious consequences and can cause severe complications. New research indicates that people who suffer from a traumatic brain injury are at a higher risk of developing an imbalance in hormone production such as pituitary dysfunction. Symptoms such as headaches, vomiting, and dizziness that are often associated with concussions are side effects of a TBI, but they can also indicate a pituitary dysfunction. The pituitary gland is a vulnerable organ, so concussions and moderate to severe TBIs should be treated promptly to prevent pituitary dysfunction. Studies have shown a strong correlation between TBIs and pituitary dysfunction. An article published in Neuropsychiatric Disease and Treatment in 2015 indicates that around 15-20 percent of TBI patients develop chronic pituitary problems. Neuroendocrine dysfunction (an umbrella term for a variety of hormone production imbalances) occurs in nearly 42 percent of moderate TBI victims. 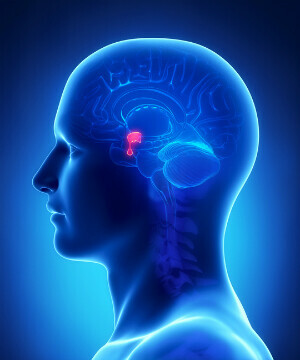 The pituitary gland, also known as the master gland, secretes hormones and controls all other glands in the body. Pituitary dysfunction occurs when the gland suffers damage or the connection between the gland and the hypothalamus is damaged. Any damage to the gland or the connections causes an imbalance in hormone production. The different parts of the brain responsible for regulating hormones are clustered together, so any damage to this area of the brain during a traumatic injury can have serious consequences. Symptoms of a pituitary dysfunction can develop immediately after a TBI or may develop gradually. So, it is important not to neglect any head injury. If the symptoms manifest over a period of time, it may become difficult to arrive at the correct diagnosis, and attribute the condition to the TBI. If you have suffered a traumatic brain injury in a car accident, you should ask your doctor for screening for pituitary dysfunction. Only a complete evaluation by an expert medical professional can help correct diagnosis of the condition. Your doctor will likely take a variety of factors into consideration when deciding whether you are at significant risk of pituitary dysfunction or not. If you have suffered a traumatic brain injury in a car accident, chances are that you will be struggling with significant physical pain and mental agony. To make matters worse, you may have huge medical bills to pay. To ensure your legal right to compensation is protected, it is in your best interests to speak with an experienced attorney. Call The Hoffmann Law Firm, L.L.C. 24/7, day or night, at (314) 361-4242 for a FREE case evaluation.